Medical assistants are multi-skilled practitioners who assume a wide range of roles in physicians’ offices and other health care settings. Medical assistant who hold the CMA (AAMA) credential indicates that he/she has graduated from either the Commission on Accreditation of Allied Health Education Programs (CAAHEP) or from the Accrediting Bureau of Health Education Schools (ABHES) and has passed the American Association of Medical Assistants (AAMA) National Certification Examination. The CMA (AAMA) logo is a registered trademark and it is therefore illegal for anyone who has not passed the AAMA examination to use the credential or refer to themselves as a "Certified MA". The National Board of Medical Examiners - responsible for many national examinations for physicians - serves as test consultant for the CMA (AAMA) Certification/Recertification Examination. As a result, the reliability and validity of the CMA (AAMA) credential is of the highest order. The CMA (AAMA) has been educated and tested in a wide scope of general, clinical, and administrative responsibilities as outlined in the Occupational Analysis of the CMA (AAMA). In order to maintain certification, a CMA (AAMA) must earn 60 units of Continuing Education Units (CEU's) within a 5 year period or re-test. The CEU's accumulated fall under three categories: administrative, clinical and general. The AAMA Certifying Board has determined that, beginning June 1, 2013, current, provider level CPR certification will no longer be required for recertification of the CMA (AAMA) credential. Many, if not most, employers now require current CPR certification. Thus, the Certifying Board believes these safety concerns are being adequately addressed and current, provider level CPR certification is no longer a necessary component for CMA (AAMA) recertification. For more information on typical duties and scope of practice of California Medical Assistants please visit the Medical Board of California. 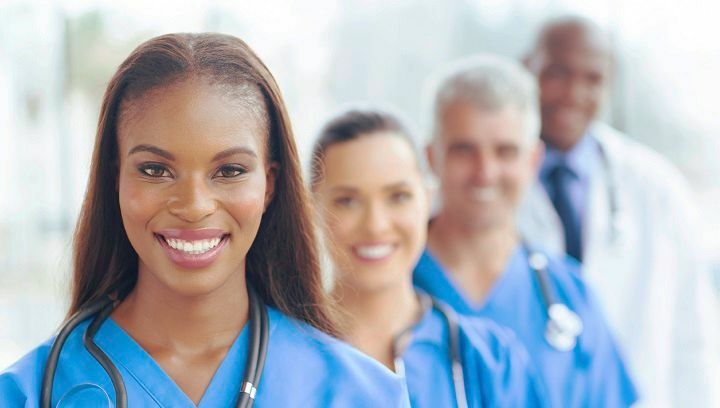 As a CMA (AAMA) your certification is valid throughout the United States, although a medical assistants scope of practice and duties may vary from state to state. Recertification by Continuing Education Time Limit. Effective January 1, 2020, an individual whose credential has been expired for more than three months forfeits the right to reactivate the credential by continuing education and must sit for the CMA (AAMA) Certification/Recertification Examination. Candidates are allowed three attempts to sit for and pass the exam. If the candidate does not pass on the third attempt, the candidate is no longer eligible for the exam or to recertify the CMA (AAMA) credential. Payment of a $50 reactivation fee plus the current exam fee is required. Use the CMA (AAMA) credential with pride!! Click on the article below. ​Actively participate in the delivery of quality health care.